Whether or not you have an official diagnosis, anxiety can get the best of us sometimes, and it’s a fairly common ’emotion.’ It’s that fight or flight feeling that doesn’t die down when the body is stressed and producing too much cortisol. Anxiety has potential to tear you down; it can make you feel irritable, restless, angry, unmotivated, overwhelmed by thought and even physically sick. Considering anxiety is experienced on a spectrum, one person’s symptoms might be wildly different from another’s. For example, some people might feel anxiety in response to certain life events whereas others will feel anxiety for seemingly no reason. The severity and duration of anxiety also varies. 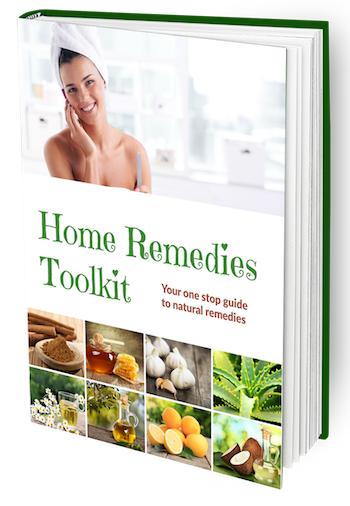 While these natural remedies might not work for everyone, we have quite a few solutions for those who are open-minded to trying new techniques. These anxiety remedies are free from side-effects unlike many anxiety medications, and can promote general calmness and good stress-management even for individuals who just want to worry a little bit less. Believe in food as medicine? Check out our feature on our favorite healthy foods to combat stress with. A pot of chamomile might already be part of your daily routine. If not, it should be – it’s great for managing anxiety with countless additional benefits such as its wound-healing, antibacterial, and anti cancer properties. Chamomile has been used medicinally for centuries; it’s not just your run-of-the-mill tea! While this study with chamomile focuses largely on depression, it’s important to note that many people with depression also experience moderate to severe anxiety; the results show that participants were less depressed and anxious when administered chamomile orally. Chamomile isn’t only effective for those suffering from mental health diagnoses; this study shows positive impacts on emotional reactions including anxiety in women with premenstrual syndrome (PMS). Theanine was first extracted from green tea, so you may already be more familiar with this herbal remedy than you know. The science behind it’s anxiety-fighting effects is the notion that theanine increases GABA levels in the brain – a neurotransmitter that plays a huge role in the body’s response to stress i.e. anxiety. Without enough GABA, the brain’s ability for chemical messages to be sent is hindered. Moreover, low levels of GABA have been linked to depression, schizophrenia and anxiety. Valerian root has been used as a therapeutic treatment for centuries, specifically for anxiety and symptoms of it such as restlessness. Certainly, it had a reputation and was known to work, but only within the past decade has the reasoning been discovered. The anxiolytic action was studied up against GABA receptors in mice with promising results – more GABA activity and an enhanced response to GABA in the brain. Ashwagandha is an adaptogenic herb that we’re personally quite fond of here at Happy Body Formula. Its main benefits lie in its anti-stress components. Ashwagandha and other adaptogens are interesting, because their name suggests not only treatment for current symptoms, but the ability to increase the body’s resilience to stress. This is especially effective for individuals whose anxiety is spiked due to stressful life events, chronic stress or a condition such as adrenal fatigue. There have been many studies on adaptogens and Ashwagandha in particular relative to stress and/or anxiety, and you can read more about them in the articles linked above. This study shows promising results in the subject’s overall quality of life while supplementing with concentrated doses of Ashwagandha. Lemon balm is a member of the mint family which means it has potential to grow in abundance – you know mint grows like a weed if you’ve ever had it in your garden! This means you can easily harvest lemon balm yourself, and always have it handy. In this study with mice, the herb was proven to reduce anxiety symptoms and the manifestation of negative thoughts associated with anxiety in addition to insomnia after 15 consecutive days of using the botanical. Lavender can be used orally, inhaled, or absorbed through the skin via its oil. It’s an incredibly powerful plant to use for anxiety, and it’s easy to source. Essential oils are likely the most common source of lavender. In this study, lavender oil was found to be as effective as a benzodiazepine in treating anxiety over the course of six weeks. Considering that class of anxiety drugs is highly addictive and lavender has zero serious side effects let alone habit-forming properties, using it is worth a shot. Lavender has also been proven to be effective in treating restlessness and trouble staying asleep, which once again steals the show compared to addictive sleeping aids. Have you used any of these remedies to treat anxiety or stress? Share your experience with us, and how you use them. I like the article, it has great information. I would like it better if there was a little more information on the best ways to use these. Carol, I’ll keep that in mind for future posts! Unfortunately, much of the ‘how-to’ comes down to the individual supplement that is purchased and its instructions, so it’s better left to the individual 🙂 I’m glad you found it helpful anyways!